<font size="3">OR makes significant changes to Oblivion's rendering engine and adds several configurable options. Oblivion Reloaded - OBGE is an OBSE plugin that mainly modifies the rendering pipeline, adding new features and providing screen effects not supported in vanilla Oblivion. 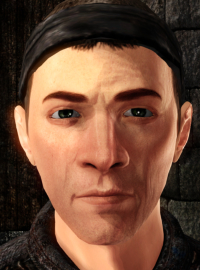 This project begins where Oblivion Graphics Extender (OBGE) left off, implementing a series of new features and removing limitations that no longer make sense. OR is the new OBGE version, but it has been re-written to go over the OBGE limitations, <b>removing also the retro compatibility</b>. OBGE's shaders have been ported, revisioned and new ones have been added. Oblivion Reloaded changes the vanilla shaders and supports several built-in effects, but it has also a custom engine to support any new own effect. In addition, it has a lot of features, improves several other things and fixes some game's bugs. It can be called a mod, but it is not a "normal" mod but a real "code patch" and it upgrades Oblivion to a new version: "forget" the old Oblivion's guides and settings to use OR. The main difference between OR and other plugins/mods is that OR is an extension/patch of the game. This means OR is not a mod (an addition) but it is a real upgrade of the game to a new version and it uses the settings taken from the esm/esp mods like the original game does. Mainly, it is an unofficial patch developed without having the source code. The included OblivionReloaded.esp is not the patch, it is only to load some resources. Oblivion Reloaded does NOT TOUCH the game executable and you need the original version of the game to play. 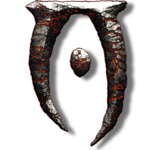 - The Oblivion Graphic Extender plugin and any mod that depends on it (no OBGE v3 retro compatibility). - My Improved Water, Enhanced Grass, Memory Purger - Extended (they are merged into OR). Mainly no conflicts occur but some mods could manage similar modifications to the game that could interfere/conflict with OR. Disable them or the relative feature if you want to use the one included in OR (or viceversa). You must disable the Steam overlay (for Steam's version). - Delete the Oblivion.ini to restart from defaults.